Using our Bitcoin calculator is simple. Our Bitcoin calculator allows you to work out the value of the Bitcoin you own and the Bitcoin you wish to buy. Then, the Bitcoin converter will change your Bitcoin into your chosen fiat currency or convert your dollars, or euros, or pounds into Bitcoin. This Bitcoin calculator is the most accurate way of calculating your digital assets and keep up-to-date with the real-time value of your investment. It is calculated each moment using the Bitcoin Price Index. This Bitcoin calculator is the go-to place to do the simple but time-consuming mathematics. The numbers involved in large cryptocurrency investments can be in themselves complex – so simplify your decision making by using our Bitcoin calculator. It works by multiplying the number of BTC by the price you have paid or will pay at current prices. Equally, it will take the current value of fiat currency and let you know how many BTC you can own for that amount of currency. This calculation is so accurate because our Bitcoin calculator is connected to the up-to-the-minute price of Bitcoin trades. This makes this calculator an essential tool in a market marked by rapid changes in prices. It allows you to keep control of your investment and protect your profits. The act of using a Bitcoin converter is the process of buying and selling cryptocurrency. When you have found a price that you are willing to pay, or sell at, you can then use the Bitcoin converter to make the exchange. You can either purchase Bitcoin with your fiat currency or reverse the process and convert your BTC to cash. Bitcoin is different to other cryptocurrency – not just because it is the original and the largest – but because it is possible to withdraw your Bitcoin from ATMs. or use a Bitcoin Debit Card. You do not get paper or coin-based BTC – but instead withdraw it as the global currency of your choice, whether it is dollar, euro or pound. These ATMs are really only available in the major cities around the developed world – but this still makes them available to millions upon millions of potential Bitcoin users. You can also use these ATM to manage your investment by converting your Bitcoin to other cryptocurrencies or buy Bitcoin too. Using the ATM in this way makes it feel much like depositing money into a bank account – as you are essentially storing your financial assets as a digital code within the blockchain network. Being impressed by the convenience of the Bitcoin ATM may cost you though – as it is likely that the exchange rate will be lower – and you may not achieve the same value as our Bitcoin calculator suggests. It is likely that your Bitcoin converter of choice will be an exchange. 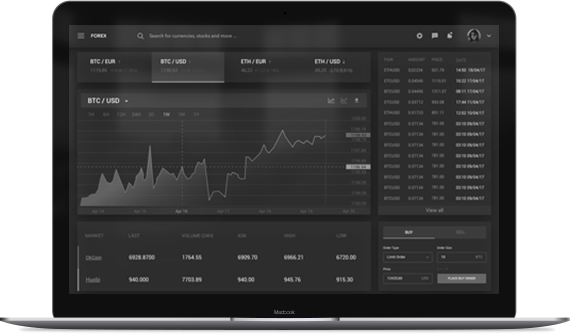 An exchange is an online platform where you can buy and sell your coins. The exchanges all tend to use the same Bitcoin Price Index – so shopping around might be futile. Most, if not all, exchange sites allow you to convert to Bitcoin and most allow you to then use this Bitcoin to buy other digital currencies. Although there is a lot of choice in online exchanges for Bitcoin, you may like to meet up and exchange your digital currency in your local coffee shop. What? You can use a person to person Bitcoin converter? Yes, it is called a piece of paper. You can write the unique code for your Bitcoin down and then pass this to your buyer in exchange for cash. You can find these local Bitcoin owners using sites like LocalBitcoin – which is particularly well named. This forum for hooking up with your buyer or seller is for those who worry about hackers and other potential digital security risks. Using standard Bitcoin converters and wallets tends to be much safer since a major platform was hacked to extinction in recent times. Most exchange sites offer cold storage – which means they store the majority of assets offline. They also guarantee a certain level of liquidity – making sure you can use this Bitcoin converter when you need it – without delay. So, when choosing your Bitcoin exchange it is worth investigating security. It is also worth checking out the fee structure as there are different prices for transactions, deposits and withdrawals between sites. Some sites are also limited in the fiat currencies they handle and have different levels of verification for use of the services. Some exchanges will demand a selfie with your ID and bank card and some will just want a verified email address. Knowing when to convert should be based on your use of our Bitcoin calculator. It is also a matter for instinct and understanding of the Bitcoin market. Prices rocketed and then retracted equally as quickly. There has been periods of price stability and times of price volatility. Therefore, when to convert your Bitcoin is literally the million-dollar question. The best advice to those wishing to invest in cryptocurrencies is to keep an eye on the trends. Keep using the Bitcoin calculator and working out the potential for profit at any one time. The news has a big impact on price and value. If there is mention of regulation or the decision of a major company in relation to blockchain – then the price may go up or down. Therefore, becoming a Bitcoin expert is essential in knowing when to use a Bitcoin converter!